Acidic, milky and slightly viscous, pulque is something of an acquired taste. Although tequila and mezcal are undoubtedly the most famous Mexican liquors, the nation has also produced a number of lesser known beverages that have endured for centuries. Long before the Spanish conquistadors arrived in 1519, indigenous Mexicans enjoyed alcoholic drinks made from fermented corn or the maguey plant, such as tejuino, tepache and pulque. The best known of the three, pulque has made a comeback in hipster circles in Mexico City in recent years, while tejuino remains popular in Guadalajara and the state of Jalisco. Tejuino and tepache are also both popular among the Mexican-American communities of the southwestern United States. A milky, acidic and slightly viscous drink made from the fermented sap of the maguey (also known as agave) plant, pulque has been produced for over 1,000 years in Mexico. There are numerous references to pulque in the Aztec codices and in many ancient myths it is associated with Mayahuel, the goddess of maguey. In recent years pulque has become the Mexican hipster’s drink of choice. Pulque’s alcohol content ranges from around two to eight percent and it is considered high in nutritional value, as it contains carbohydrates, vitamins B, C, D and E, amino acids and minerals such as iron and phosphorus. The health benefits of drinking pulque were recognized by the Aztecs and other Mesoamerican civilizations, who allowed pregnant women and the elderly to consume it, as well as he priests, nobles and warriors for whom this sacred drink was usually preserved. Consumption rose after the Spanish conquest, peaking in the late 1800s, but it declined in the 20th century as beer became more widely available. 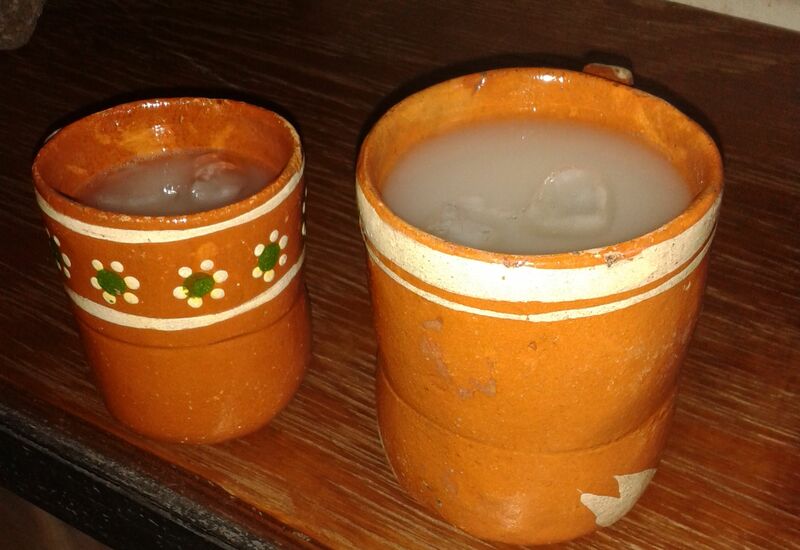 The central states of Hidalgo and Tlaxcala were once home to hundreds of pulque haciendas, but the best place to sample this unique drink is in one of Mexico City’s many pulquerias (pulque bars), which have recently roared back into fashion in the capital’s more bohemian districts. But be warned: it is something of an acquired taste and pulque virgins may prefer to try one of the many flavored variations available in any good pulqueria. Meanwhile, those looking for a nonalcoholic alternative should try aguamiel, a syrupy drink made from the sap of the maguey that also dates back to the pre-Columbian era. 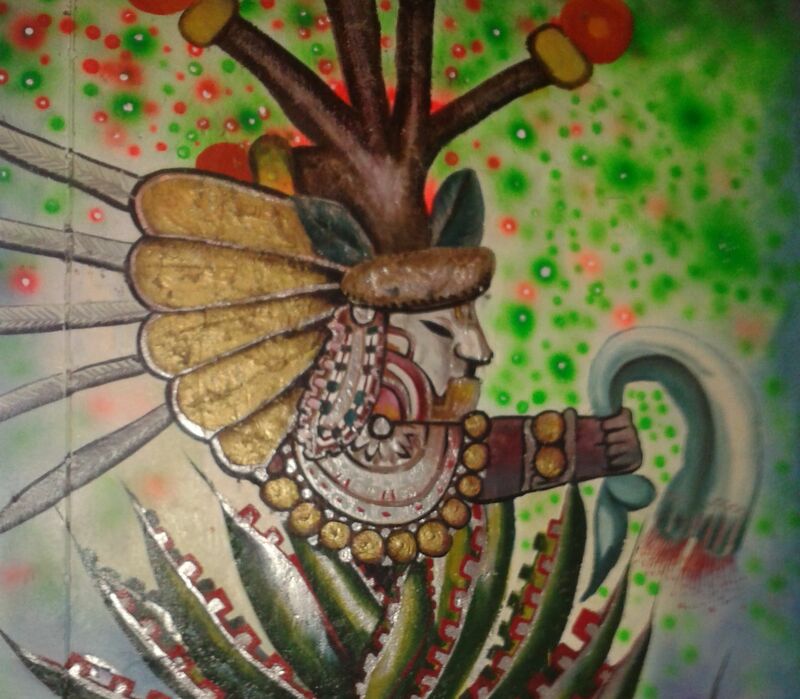 A mural of Mayahuel, the goddess of maguey, in Guadalajara’s La Pulkata. “Mint flavor pulque and aguamiel are the most popular varieties among local clients,” according to the bartender at La Pulkata, one of only two or three pulquerias in Guadalajara. Other variations include oatmeal, guava and celery, while tepache is also available at La Pulkata, which is celebrating its seventh anniversary this month. Tepache and tejuino were both originally made from fermented corn by the indigenous Nahual people of central Mexico. While tejuino is still made from the same corn dough that is used for tortillas and tamales, tepache is now more commonly made from fermented pineapple rind. 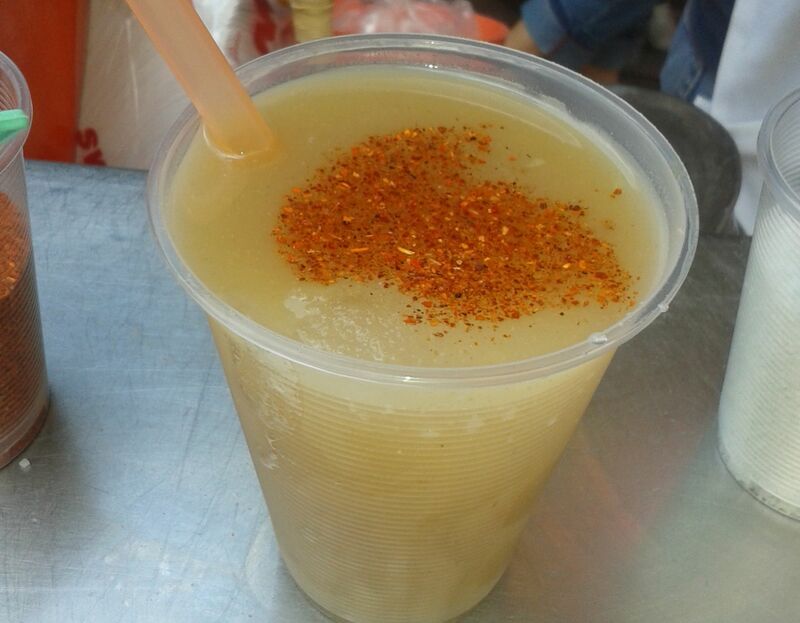 Tejuino is a heavy, corn-based drink commonly served with lime sorbet, salt and chili. In tejuino production the corn dough is mixed with water and a local form of unrefined brown sugar known as piloncillo and then boiled until thick. The liquid is then allowed to ferment slightly, but the final product is either nonalcoholic or has a very low alcohol content at most. Typically sold by street vendors in small plastic cups or in plastic bags tied with a straw, this stodgy but refreshing beverage is best served cold with lime juice, salt and a dollop of lime sorbet. Tepache is also produced in quick and simple fermentation process but it is much lighter in texture than tejuino. Red-orange in color, it is typically sweetened with piloncillo and cinnamon, which leaves it with a pleasant sweet and sour flavor. Often seasoned with lime, salt and chili, Tepache perfectly complements the rich, spicy tones of a lot of Mexican cuisine. Like tejuino, it is either non-alcoholic or very low in alcohol, but it combines well with beer, tequila or mezcal for those who prefer to imbibe something with more of a kick. 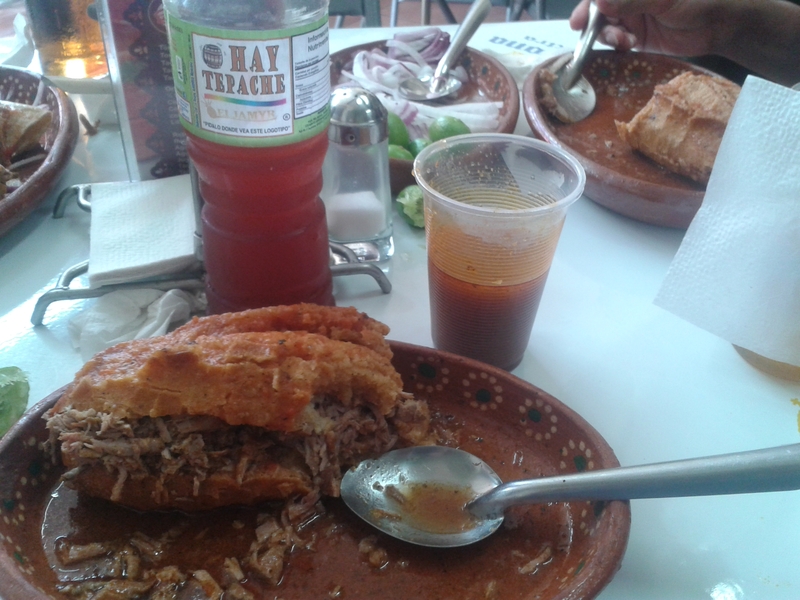 Tepache perfectly complements much Mexican cuisine, such as Guadalajara’s fiery tortas ahogadas.